BY JOINING PROJECT DARKNESS YOU MUST STILL ABIDE BY THE TESTING REQUIREMENTS. "Secondary containment is to be fitted with light systems, capable of flooding the entire assembly with no less than 80,000 lumens of light instantly with no direct human involvement." This is to help prevent the breach of SCP-106 by overpowering him with a large amount of light all at once to deter him, and hopefully get him back into his containment cell. With this in mind I would like to propose a possible containment method that would be both easy to use and portable for SID, MTF and other divisions to use with ease. Doing some basic research I have found that we can create a carry-able flashlight capable of producing 108,000 lumens of light, with 12 x 100w COB LEDs. This number can even be increased further by adding more to the device. I believe the engineering department should have no issues developing a possible prototype with your permission sir. 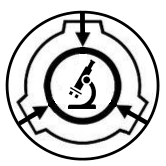 I truly believe that with enough time, research and patience we could develop a carry-able flashlight possible of assisting in re-containing SCP-106. Thank you for your time sir and I hope to discuss this with you more in person. I believe that this could be a very valuable test for the foundation as it could help prevent the total amount of casualties that we take when 106 breaches, I do however have a question on how you are going to cool it down after use as that amount of energy from the bulbs would cause a lot of heat to be transferred to the device. Other than that I believe that this is a test that should seriously be considered for the project. We could add a heat-sink option or even use water-cooling as a possible method for cooling. I would have to do more research as this isn't my area of expertise, I'm sure the engineering team would also have some ideas. Alright, that clears up all of my concerns, I just want to say however that you need to make sure that the prototype works before using it on 106. // I can already tell this is all going to go very, very wrong. // amateur rheingold. You fools deleted all of the other workings from the first team. Rather interesting. I'm fine with this. Contact me once you're finished building the prototype. Maybe, but I don't wanna wear sunglasses, even if I do look cool in them. The lumens required are very high though and would most likely cause terrible strain on everyone's eyes and possibly ruin them if implemented throughout the facility. "I'd rather wear sunglasses than have 106 take me, and.... do things with my precious body, yes..."
Besides that, hand-held lights will be used first, if that doesn't work...then well try something like that. "Dr.Franklin I want a status report of your recent thought and contributions to this project by Friday. Also Dr.Checks I want you to add another staff member to this project by Friday under the same terms as my request from the 096 project." I would like to sign up for this project please.